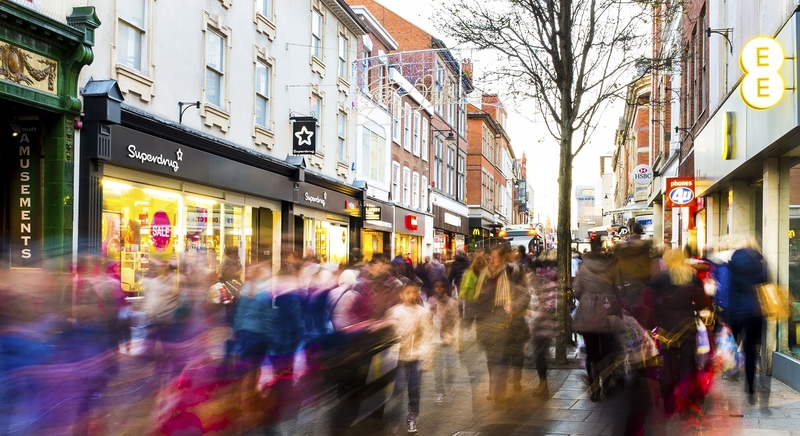 As urbanization continues its impressive pace, it’s greatly impacting retailer, developer and investor strategies – which we can see in the growing appetite for urban retail real estate. Over the past two years, high street assets have become a must-have for retail real estate investors. In order to make the quest of finding the most attractive opportunities easier for investors, CBRE compiled a list of the most expensive retail streets in the world as of the first quarter of 2015. As a disclaimer before we dive into the list, however, it’s important to note that “expensive” is a relative term – so while some of the retail spaces on these streets cost hundreds to thousands of dollars per sq. ft., there are many other successful retail corridors that cost substantially less. And as we talked about in an earlier post on urban site selection assumptions, retailers need to be more cautious and aware of their real estate strategies as they expand into more urban markets. There’s not always a direct correlation between high rent and high returns. Highland Park Village in Dallas/Fort Worth – Highland Park Village is the 10th most expensive retail street in the U.S., with average rents per sq. ft. of $175 per year. Newbury Street in Boston – Taking the number 9 spot in the U.S., Newbury Street charges rents of $225 per sq. ft.
Walnut Street in Philadelphia – Tied with Newbury Street, Walnut Street also boasts rents of $225 per sq. ft. per year. M Street in Georgetown in Washington, D.C. – Reaching rents of $230 per sq. ft., M Street ranks as the 7th most expensive retail street in the U.S.
Lincoln Road in Miami – The 600/700 blocks of Lincoln Road took the 6th spot in the U.S., where retail rents currently average $350 per sq. ft. per year. Kalakaua Avenue in Honolulu – Coming in at 5th place is Kalakaua Avenue, where the rents average $420 per sq. ft.
Michigan Avenue in Chicago – Boasting retail rents of an average $480 per sq. ft., Michigan Avenue moved up in its global rank from the 19th spot in 2014 to number 16. Union Square in San Francisco – Moving up one spot in the global rankings since 2014 to number 11, retail spaces at Union Square currently rent for an average of $650 per sq. ft.
Rodeo Drive in Los Angeles – Presently holding the title of the 2nd most expensive street in the U.S. and 10th most expensive globally, retail rents on Rodeo Drive average $660 per sq. ft.
Fifth Avenue in New York City – Only the most deep-pocketed retailers can afford the rents on the highly coveted Fifth Avenue, which average $3,617 per sq. ft. – making it the 2nd most expensive retail street in the world. According to real estate analysts, rents in these and other prime retail spaces will only continue to increase due to strong fundamentals, the lack of space and the push for urban retail expansion. As with any market entry decision, urban site selection comes with its own unique set of challenges and nuances. But with the advancement of today’s analytic tools, it’s easier than ever to determine the correlation between a high rent area and the amount of business it will generate. Performing your due diligence before making a substantial investment can keep you from making a costly mistake. Find out how using the right analytic solution can help guide the execution of successful real estate and marketing strategies while avoiding expensive misses.